Sandwich size brown paper bags for the “pitchers” that hid the torches. I doubled the bags to hide the lights better. Large sheet on the floor to represent the Midianite’s camp. He hands out the torches (battery powered candles), the jars (doubled paper bags) and the ram’s horns. 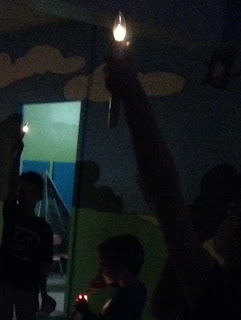 Kids turn on their lights (candles) and place the paper bags over them to hide them. 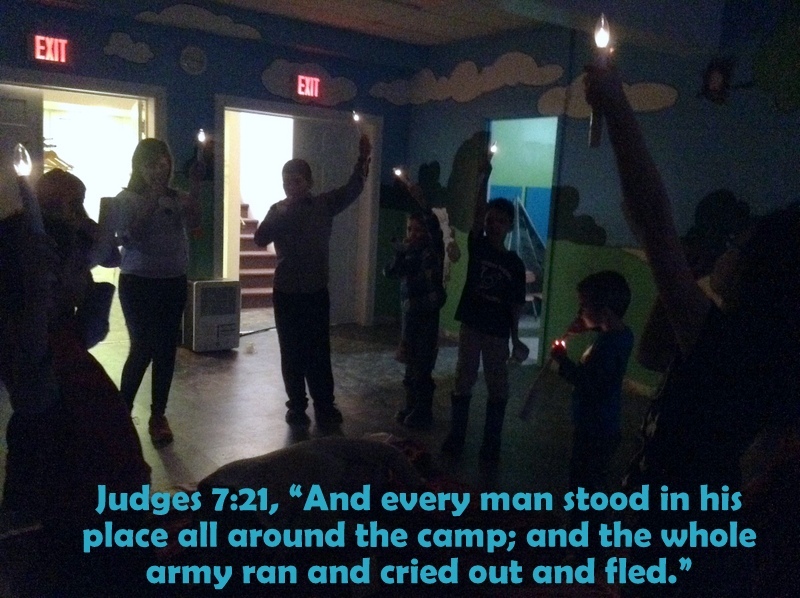 The 3 groups sneak around the room and make a circle around the Midianite camp in the middle of the room (i.e. the sheet on the floor on which my coworker is snoozing away). Everyone blows their horns and rips their paper bags open to expose their lights. 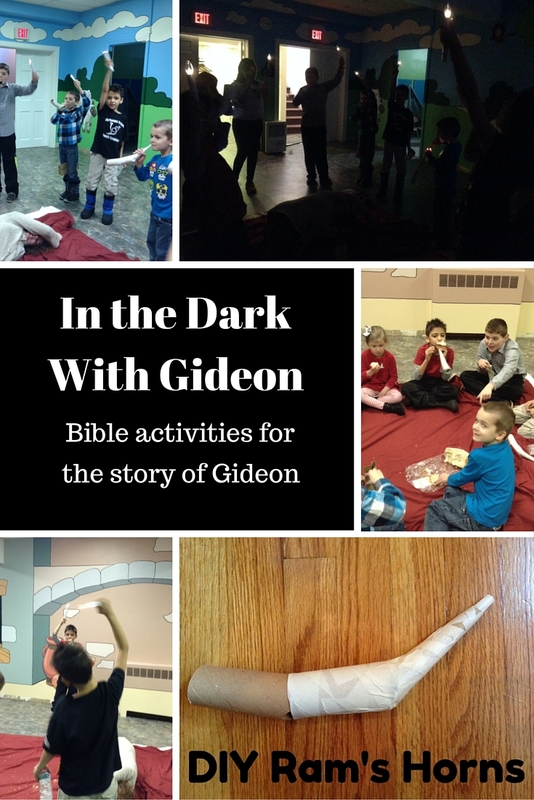 Then everyone shouts: "A sword for the LORD and for Gideon!" Stay surrounding the camp and at your signal, the children lift their horns blow again. 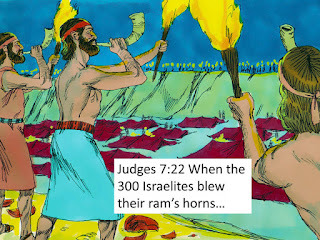 Then they watch as the Midianites destroy themselves and flee (kind of hard for one person to destroy themselves if that's all you have like we did, but they can yell and run away). I made a power point presentation of the story to show before we acted it out. I use Free Bible Images and Bible Illustrations from Sweet Publishing for my power points.You can access my power point here. 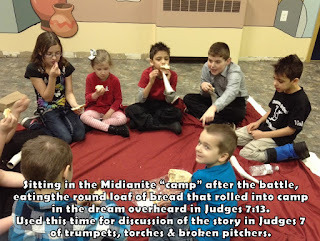 After we finished, we all sat in the empty Midiante camp (the sheet on the floor).I had purchased a round loaf of bread to explain the dream that Gideon overheard in the Midianite camp. I broke off pieces of the round loaf of bread I and passed them out. We ate the bread as we discussed the story.